Improve sample recovery without additives or coatings. These tubes offer maximum sample recovery by significantly reducing surface binding. 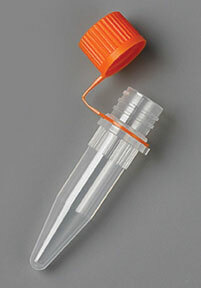 Pure Protection: Prepare, transfer and store samples securely with Thermo Scientific Screw Cap Microtubes. Available in multiple volumes, packaging options and clean claims. Address specific laboratory needs with these specialty tubes offering unique combinations of features and exceptional quality.